The CBS Radio Workshop was an experimental anthology series, which ran from 1956-1957. It was a revival of the earlier series the Columbia Workshop (which aired from 1936-1943), and it employed many of the same writers and directors. 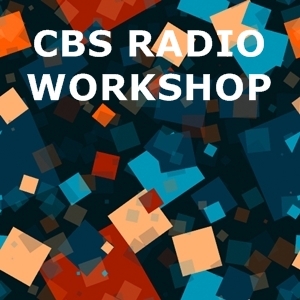 Although a relatively short-lived series - as television had by this time already started to displace radio as the main medium for popular drama - the CBS Radio Workshop produced many excellent episodes. Some were adapted from the writings of major authors, including Aldous Huxley, Ray Bradbury and Robert Nathan - all three of whom lent their vocal talents to episodes adapted from their works. The series also presented a number of non-fictional episodes, examining a range of historical and contemporary issues. There were 86 episodes in total (equalling 84 individual stories/documentaries, taking into account two-part episodes).